Support for AirPort and Time Capsule routers remains, but not for much longer. Apple is discontinuing its router business in a bid to trim its hardware focus. Engadget reports that the company is pulling the plug on its AirPort, AirPort Extreme and Time Capsule routers. The company will continue to support these devices for all of those who have already purchased them, but don't expect new iterations any time soon, with Apple adding that no new hardware versions will come. The company did leave a glimmer of hope for everyone. In a comment to Engadget, the company said that these devices might return sometime in the future, if it finds a useful place for them under the sun. It did not want to say, however, why it decided to discontinue the product. The media, on the other hand, consider this a logical move. 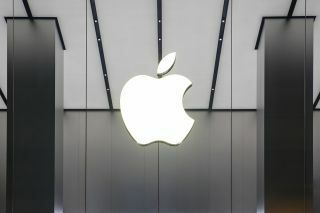 The Verge is commenting how the death of Apple's routers has been “a long time coming”, with the likes of Eero, Google WiFi and Linksys Velop taking too big of a chunk of the router cake for Apple not to starve. It’s been a year and a half since Apple disbanded its hardware division which created these routers. To all those interested what to do, and how to replace your AirPort devices, you can check out this Apple’s document for more details.